The big national conversation this election year is about jobs. The number of unemployed, underemployed, and discouraged workers in the U.S. has been scary-high for a few years now. Everyone wants to know in the wake of the Great Recession how to create more jobs, more high-wage jobs, and train more Americans to get those precious jobs. Nobody wants to look at an industry of the past (newspapers, anyone?) as part of the solution. But if you’re looking at the biotech industry as one of the futuristic sectors to count on for job growth, I can only say one thing: Keep looking. The biotech industry often likes to promote itself as part of the answer to the nation’s unemployment woes. It clearly is a source of U.S. competitive advantage, and provides good-paying jobs for smart people doing meaningful work. There were about 1.6 million people in the U.S. working in bioscience-based jobs in 2010, who took home an average salary of $82,697 that year, according to a recent report Battelle produced for the Biotechnology Industry Organization. The biotech industry’s wages are 79 percent higher than the average private sector job in the U.S., and while biotech saw a 1.4 percent decline in overall employment from 2007-2010, the job losses weren’t as bad as economists saw in other industries, like aerospace. 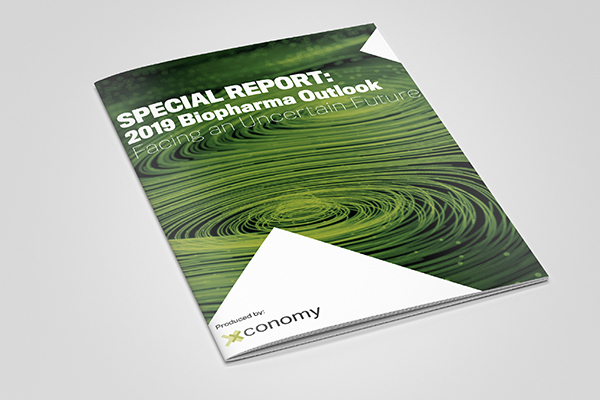 If you read this report, it would be easy to conclude that biotech is poised to be a job-creating catalyst for the U.S. for years to come. But that upbeat narrative doesn’t jibe with everything I’ve heard from people in the trenches I’ve gotten to know over the years, especially scientists. Regular readers of this column know that the biotech industry is under intense pressure to show better returns on invested capital, in order to justify the industry’s daunting risks. Since we’re not seeing a massive wave of new products hitting the market, companies are scrambling to cut budgets. They are hiring fewer people, and relying on low-wage offshore contractors wherever possible. Startups are being built with “virtual” models that have tiny staffs. Resources are being steered away from R&D—the very thing that will produce the most future jobs—and toward more sales and marketing, where the short-term financial returns can be more easily quantified. Without having the time or resources to do a full-blown analysis like Battelle, I thought I’d try to take a quick-and-dirty snapshot of the biotech job market on my own. So I put together a list of some of the largest and most valuable biotech companies in the U.S., and added up the job openings posted on their own company web pages. I looked mainly at two things—the total number of jobs, and the number of jobs posted in research and early-stage development. I focused on research and early-stage development largely because I think of it as a telling indicator, which says something about the company’s investment in future innovation. This isn’t a perfect analysis for a variety of reasons—not all job openings get posted publicly, and different companies use different terms to describe research jobs. But all the company websites I looked at allow you to tally up the total number of jobs, and drill down specifically into certain departments or job titles. For the second column of this chart below, I sought to specifically count jobs with keywords like “scientist,” “research,” “discovery,” “medicinal chemistry,” or “preclinical” in the title, while filtering out jobs in late-stage or clinical development. As you can see, these 24 leading biotech companies are collectively advertising for 3,357 jobs at the moment. Most of those jobs are in the U.S., but some are in other countries where these companies have operations. Even by using a pretty broad definition of “early-stage” or “research” jobs, I could only categorize 357 of those jobs (10.6 percent) as really being focused on that function which is so critical to the long-term future of the industry, and the jobs it will create. It’s the patent situation that’s adversely affecting the traditional pharma and biotech industries. Until we get a change in administrations, and perhaps, a trend towards “perma-patents” for future medicinals, few VCs are going to want to invest sums in industries where the economic life for their new products is only 5-7 years, after an investment of $1-2 billion in R&D, before generics rip off their developments with lower-priced products. For affirmation of this, just look at the comparative P/E ratios today for generic drug companies as compared to those for R&D-oriented drug and biotech firms. Biotech’s business model is not sustainable, as evidenced by its not sustaining! This is a modern buggy whip, and demanding a return to “the good old days” is a clarion call from the cemetery of bad ideas. The scale of the development process – millions of dollars at risk for a decade with only a limited duration for market protection – makes the investor risk irrational. The device development model includes risk reduction at a much faster pace, in small organizations where failure affects few jobs and few investors. The only feasible biotech model will be small and distributed idea generation, and rapid staging through clinical trials. Clinical trials must seek out optimal patient selection and relevant details of history and genomics. Patients, families and physicians must be allowed to accept greater rates of individual harm in the pursuit of better population outcomes. In short, highly sophisticated regulation is the only means to reduce cost, delay and harm in development of new therapies. Sophisticated regulation provides predictability, increasing innovation and profitability. Meanwhile, wishes for greater FDA staff funding, longer patent lives, more money from investors and big pharma are merely asking to get better results by doing more of what doesn’t work. Entrepreneurs and investors, acquirers and distributors, and patient advocates and clinicians each have unique needs and risks that can be melded into a single strategic plan for intellectually honest regulation. These several groups represent a constituency large enough and important enough to overcome the failed institutions of Congress, and affect sophisticated regulation within FDA.